Eager to find a best and fastest video converter to convert VOB to MP4 on Windows (10) PC/Mac? 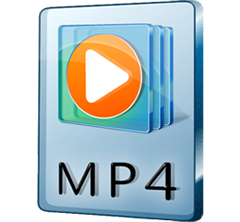 Right here you'll find out how to convert and compress VOB file to MP4 video format in 3 simple steps, in fastest speed, and in original quality with the best VOB to MP4 converter. a)	VOB cannot be edited. b)	It can't be accepted by some popular players and popular devices, such as iPhone iPad. c)	VOB is not size-friendly. It will occupy much hard disk space of computer. d)	VOB file is part of DVD video. It may be copy-protected with Content Scramble System (CSS) as DVD disc, restricting the playback. a)	MP4 file is highly-compressed. It is very convenient for storing, uploading or sharing and it will not take up too much stroage space on your computer or mobile devices. b)	High quality. Its video/audio quality can be close to DVD. c)	Good compatibility. It is a universal format and fully compatible with all iPhone/iPad/iPod/Android/PC/Mac, etc, it can be easily played directly on these devices and many other media players. d)	MP4 allows streaming over the Internet easily. 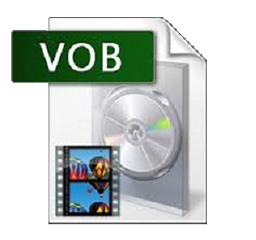 How to Convert VOB to MP4 on PC/Mac? Best VOB to MP4 video converter enables you to easily convert VOB to MP4 and any other video file with original quality at fastest speed. As the best VOB to MP4 converter, WinX HD Video Converter Deluxe is far more powerful than converting VOB to MP4, it also enables you to convert 1080p multi-track HD videos such as MKV, M2TS, MOD, AVCHD and convert any SD videos, e.g. convert WMV, MOV, FLV, AVI to MP4. Besides, it has 410+ built-in preset device profiles to convert any video to iPhone iPad, Android Samsung, HTC, etc on the journey. With its built-in "High Quality Engine", it will undoutedly ensure you best output video quality. The whole VOB to MP4 conversion process is superfast thanks to its new Hardware Acceleration tech Intel QSV and Nvidia CUDA/NVENC, plus Hyper-threading. 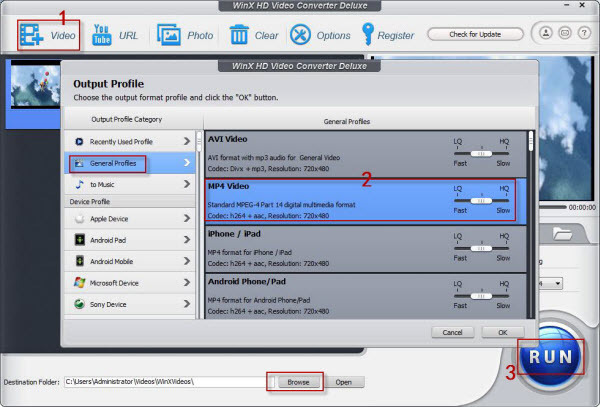 First of all, download and install WinX HD Video Converter Deluxe on your Windows(10)/Mac. Then follow the 3 simple steps below to easily convert VOB to MP4. Step 1: Load source video. Click "+ Video" button to load your source VOB video file. Step 2: Select the output file. Click as the path: Output Profile -> General Profiles -> MP4 Video. Click "OK" to run into next step. Step 3: Set the destination folder and run to convert VOB to MP4. Click "Browse" button to choose a folder to store the converted MP4 video. Right click "RUN" to begin converting VOB to MP4 on Windows (10). After the VOB to MP4 conversion, you could easily watch the MP4 video file on iPhone/iPad/ Android/PC/Mac and many other media players for widely playback your favorite videos. WinX HD Video Converter Deluxe – The best VOB to MP4 converter, to easily convert VOB file to MP4 for playback on iPhone, iPad, Android, Windows(10), Mac, etc and convert any 4K/HD/SD video. 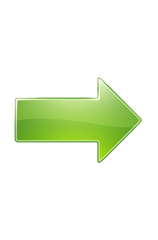 Also as a 2-in-1 online downloader and video converter enables you to download and convert video from 300+ video sites. Besides, it is also a photo slideshow maker to let you make and convert photo slideshow video to any video format. Powerful editing tools like trim, crop, merge, add, batch convert are also availabe for you to customize your video as you like. Try WinX HD Video Converter Deluxe/for Mac now.